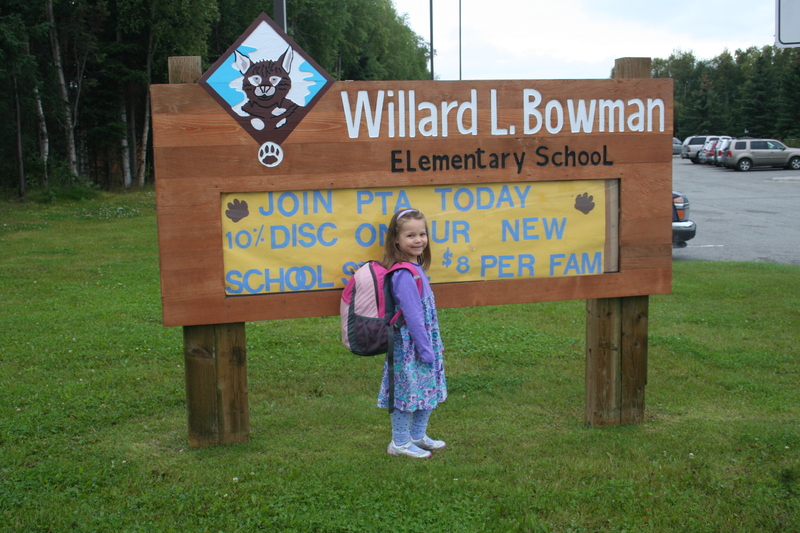 She was so giddy to start kindergarten, and now she’s skipping her way to middle school with equal joy and enthusiasm. Today he received the award for Algebra Student of the Year. He’s also won awards in debate, We the People, and National History Day competitions this year. He worked hard and leaves middle school with a 4.0 GPA! We are so proud of him! Tonight we wanted to celebrate their milestones, and offered to take the kids to any restaurant of their choice. They both preferred to eat at home, and I was so shocked that they agreed on something that I took them out for ice cream instead! 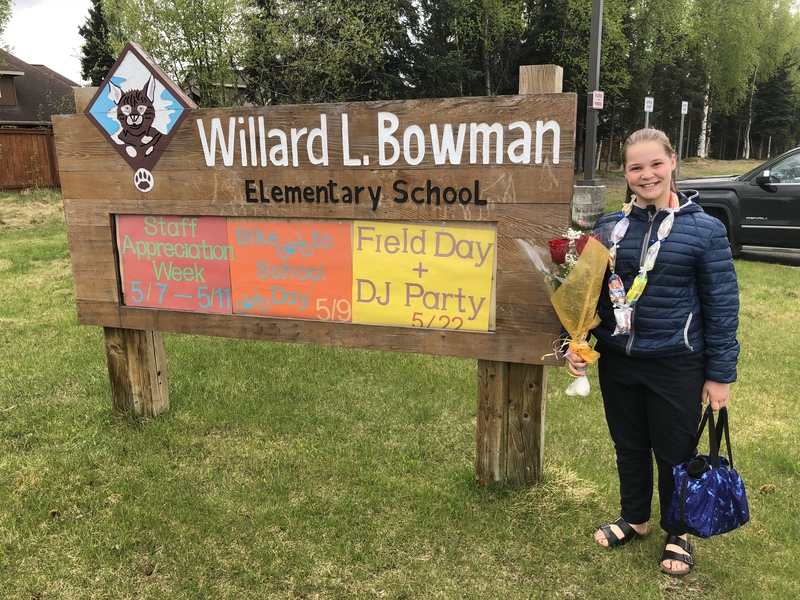 Stephanie is quite possibly the best kindergarten teacher on the planet, and even though she retired years ago she came back to hear her former students give their 6th grade speeches. It felt wrong to see a visitor badge on a person who was the heartbeat of the school a few short years ago! I tucked a note to Maggie behind the canvas, along with pictures of her as a little kindergartner and 6th grader. Sam’s gift wasn’t quite as sentimental, but he looooooooved it just the same! Tomorrow I head back to school, but these two will enjoy sleeping in. And playing with their dog. And kicking their soccer balls. And playing Minecraft. And doing the dishes I ignored tonight. And watching Netflix. And climbing trees in the alders. Because they still are kids… for a little longer, at least. Thanks now I’m crying! OMG I love you all so much! Can’t wait to see you all soon!! !